American craft beers and a wine list focused on natural wines complement the fare. This is our second wonderful meal in 3 weeks. The space is still very quiet and likely unknown to the neighborhood. I sincerely hope they are discovered soon because the food is SPECTACULAR. I've had the steak, the duck, the foie gras, the boar, the bison, the rabbit, the gazpacho, the rack of lamb, the strawberry parfait and the FOIE GRAS DESSERT! 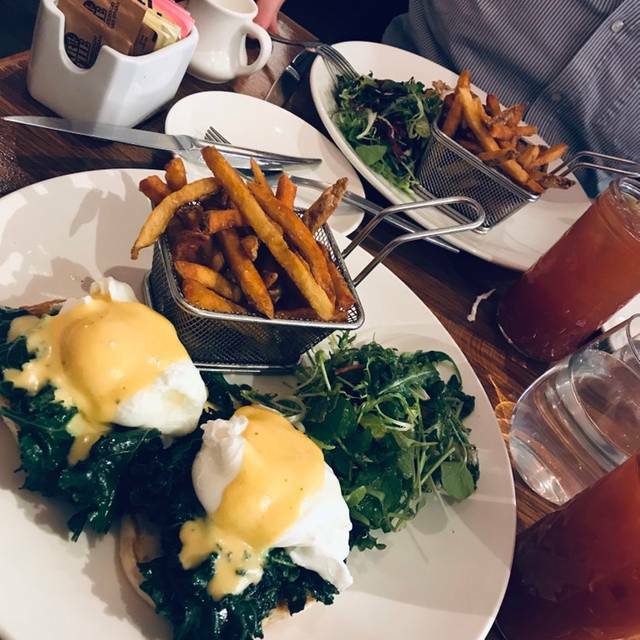 It's all worth the trip to Fort Greene if you aren't from the neighborhood and if you are from the neighborhood or nearby then you have to give them a try! Exceptional food. How does one make braised endive so very delicious? Great neighborhood find. They are meat centered but have a few vegetarian options. Wine only but choices were nice. The apple fritters were little pillows of yum! The restaurant was relatively small, cozy, and not too busy, which made it quite easy to talk and be heard. All of the main dishes, except one, were meat-centric.....and some not so common meat dishes as well. One of us tried the pork filet mignon and one of us got the salmon main dish. Both were beautifully presented and quite tasty. I wished there was more of a selection of salads and vegetables. The wine list was short, but there were several fine selections, all moderately priced. All in all, it was a very pleasant dining experience. The food was good and the staff friendly but the overall bill ended up being very expensive. The main issue was the noise level which was over the top we could barely hear each other - on a Sunday for brunch, that's a bit annoying. Great tasting food. The Resturant itself is little cramped and the prices are fairly high even for NYC. A hidden gem. While the setting is unremarkable, the food and service are first rate. Our hostess and waitress were informative and attentive(and fun!). The food was fabulous from the bread to the delicious steak. The cauliflower appetizer was the best! I’d definitely come back. This was our first time and we are checking our calendar to figure out the next time we can go back. We got the appetizers of Foie Gras and Pork Belly. 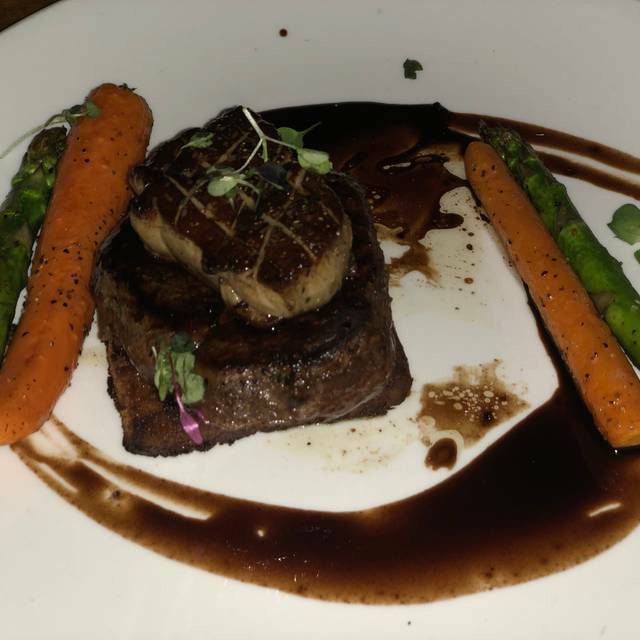 Entrees of Filet Mignon topped with Foie Gras (just as big as the appetizer) and a rack of Lamb. Ended with the strawberry parfait. Got cocktails and a glass of Sauternes with the foies gras. I NEED to go back for the Rabbit Cassoulet, the Bison Tartare and so many other things our server suggested not to mention I need to try the FOIE GRAS DESSERT! Everything here is thought out and prepared to perfection. 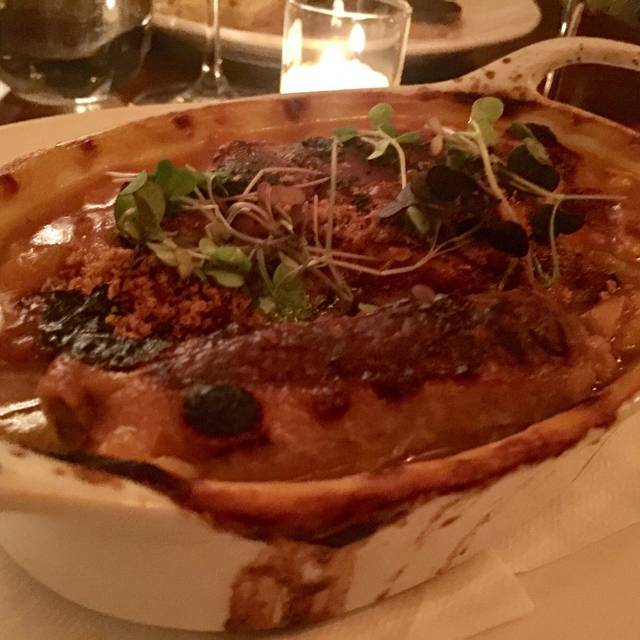 The rabbit cassoulet, the pork belly, the country pâté were all outstanding with fresh, exciting flavors. The crime brûlée was better than most. And I was happy to choose the Morgan Beaujolais to go with the meaty dining. The staff are terrific. This is one of the best restaurants I have ever been to. From the ambiance to the food to the service. World class! Delicious food, great service and music. The decor could be a bit better though, it lacks personality. Roasted cauliflower is a must. Also tried mushroom fondue, beef tongue, wild boar chops, seared foie gras, and bison tartare. Every single dish was worthy of a reorder. Wish I had room for dessert afterwards! Also, the service was exceptional. We were celebrating our anniversary and the waiter treated us to yummy dessert wine. From start to finish we had a great experience. Oscar - our server - made fantastic recommendations from the wine to the food! The food is diverse and absolutely delicious, the service very friendly, we love it! I found this gem on Open Table’s neighborhood search feature. It has a very interesting and diverse menu that’s not overwhelming. Everything we had was great, especially the rabbit cassoulet, which will transport you back to Toulouse. The French-accented staff was warm and welcoming, and completed a very enjoyable dining experience. Having been to both locations, I can confidently say I've been impressed. My favorite part is that the staff is friendly and attentive, without any of the pretension that comes along with a lot of trendy New American places I've been. Thoughtful brunch menu and attention to fusions (French foi gras and Vietnamese influences). Delicate and straightforward plating. Beet salad arrived without arugula, and the latter was dearly missed. Still fresh and bright. Mimosas come in a choice of grapefruit or orange. Both Sunday servers were polite and friendly despite being slammed/long(er) wait for food to be run to entire floor. The gentleman farmer Bloody Mary was the sole underwhelming addition unfortunately. Croquet Madam and Benedict was simply delicious. I would reccomend because the food was excellent. The noise level was overwhelming, and the service sub par. It seemed they where short staffed and we waited over an hour for our entrees and half an hour for one bowl of soup. I enjoyed the menu choices and could tell the chef used a great deal of care in preparation. The staff was minimal which made it impossible to get their attention for basic needs. It was a weekend so I would expect it's always busy. Not sure I would return, but it's an excellent choice for those who are adventurous and want to try new culinary options without the massive pricetag. We love the food here but the music is often too loud. We were somewhat excited about eating here after reading the reviews and menu. We were not disappointed. Staring out with some wonderful Aperol Spritzers along the Bison Tar-Tar and Beet Salad the meal was off to a great start. My wife had TOURNEDOS ROSSINI and I the BOAR CHOP , both cooked to perfection. To finish up our experience the FOIE GRAS DESSERT with the STRAWBERRY PARFAIT were a great finish to a memorable meal. P.S.....You may feel upon reviewing the menu that the prices might be slightly high but you must consider the ingredients used. Excellent food, service and atmosphere! Highly recommend. Fabulous food, fabulous waitstaff! 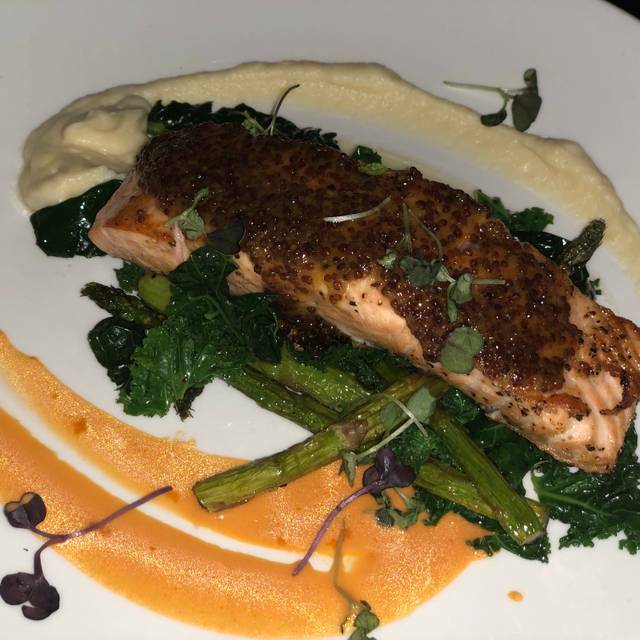 I have always enjoyed my meals at Gentleman Farmer - Fort Greene! The time on Opentable implied the restaurant stayed open later than it really did. Nonetheless, Gentleman Farmer was super accommodating and we had a fantastic meal. Fantastic addition to the Fort Greene neighborhood. 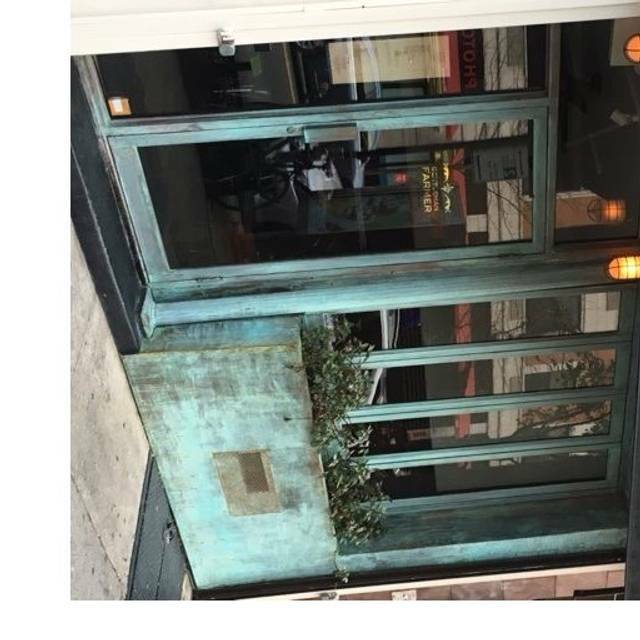 We have been a couple times and we have really enjoyed Gentleman Farmer's Brooklyn location. The twice cooked risotto was back!!! Happy dayyyyyyy! Excellent food and really wonderful service. Lovely meal with the family. Great food and wine, attentive staff, cozy atmosphere. If was a birthday dinner for my sister. Amazing people working there. Felt completely and utterly taken care of. Mishap on with the spiral ham on Xmas eve meant hasty reservation on Xmas day at GF. Exquisite food; charming, just-right attentive staff working a holiday. They welcomed us warmly, fed us lovely salmon and venison and wagyu beef with the most tender seared scallops, pork belly, and risotto appetizers. And the deserts were delicious. Everything was working. Really loved the food and the experience. Can’t wait to return. Terrific neighborhood restaurant with a farmhouse/rustic feel. Casual and friendly staff. Small menu, but loaded with great selections. We visited on a cold night and our rabbit and venison dishes were flavorful and piping hot. Servings are large and almost big enough to share. Solid cocktail and wine list with good price points. Great comfort food and experience. Our favorite restaurant. It was a pleasure to spend Thanksgiving there! One in our party was stuck on public transportation, and the restaurant was very accommodating, moving the reservation back. The food was exc3llent, although limiting if you are not a meal eater. Mushroom ravioli & salmon were very good. We were splitting a salad, and our bread plates had spicy olive oil on them. But we were told to use our bread plates for the salad. That was the only negative.